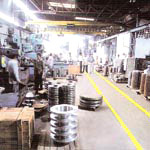 Kunj Forgings possesses a well woven and well managed manufacturing facilities for Forging, Machining, Inspection/Testing, Material Handling, Transportation & Raw Material Production which creates it capable to face all the challenges in terms of Capacity, Capability, Quality and Punctuality. 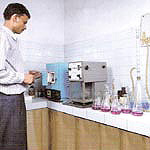 Good quality of raw material is the basic requirement to produce a good quality product. 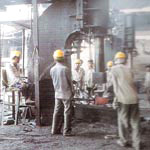 We always select best quality of raw material for our products from reputed steel plants like SAIL, Visakhapatnam Steel Plant etc. 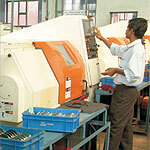 It is necessary to cut the raw material in different sizes as per requirement prior to forging. 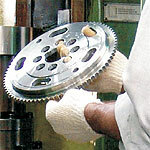 This is done by a number of band-saw machines having different capacity, which is installed, at our cutting shop. Kunj forging is well equipped with state-of-art manufacturing facility with 3 press hammers, 3 ring rolling hammers capable of manufacturing forgings upto 2200 mm diameter and maximum weight upto 5000 kgs. Supporting the hammers are 5 heating furnaces of 10 tones capacity each, working in 3 shifts 18 hours a day. Our hammers are supervised & run by highly skilled personnel being in this industry for more than 50 years. These hammers are backed by 4 boilers producing steam. 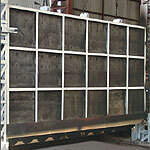 Heat Treatment is the decisive process of obtaining best quality products. We have 5 tonn & 60 tonn (size 3Mx3Mx2M & 7Mx7Mx5M) boggie type furnace fully equipped with modernized temperature controller for heating & cooling the furnace. 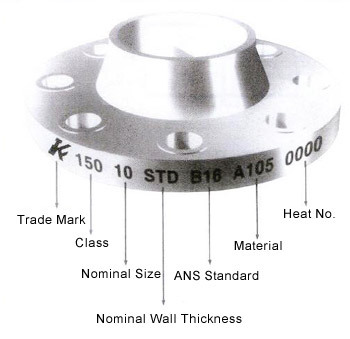 The forgings are well treated with various operations i.e., normalizing, annealing, quenching and temperature with a maximum temperature difference of +/- 5°C. 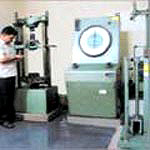 Kunj has a fully moderanised workshop with plenty of CNC lathe machines, vertical lathe machines, multi spindle drill machines to produce forgings by nearly 1000 MT per month with world class quality and packing. 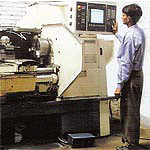 Punching on products is done through an automatic machine up to 12" dia . Above 12", punching is manually done.